When a client calls in crisis, you answer. Timeliness is essential when it comes to a crisis, that’s a no brainer. And wondering if you’ll encounter a crisis is not a matter of IF but a matter of WHEN. As a partner, we obviously want to provide as much content and detail as possible. In a crisis, it’s likely your client or the communication director has their hair on fire. So, while all the detail is great when proving your thoroughness to a new client, this is not the time. Provide an executive summary of traditional and social media monitoring, then provide backup should they want to investigate further. Avoid the client asking what’s going on, what’s the update. Set morning and afternoon times to provide updates and check-ins, regardless if there’s an update or not. This will provide a sense of security and ease, one less thing for your client to think about. Just because you’re sending reports, emails and correspondences quickly, does not allow for quality to slip. If anything, quality in a crisis situation should be higher, due to increased risk level and demand for airtight content. Also consider, crisis clients often are billed at a higher rate, so they should receive the quality they’re paying for. Often times your work is being shared directly with the highest level of an organization, so make sure it’s tight, professional and worthy of a CEO’s immediate review. 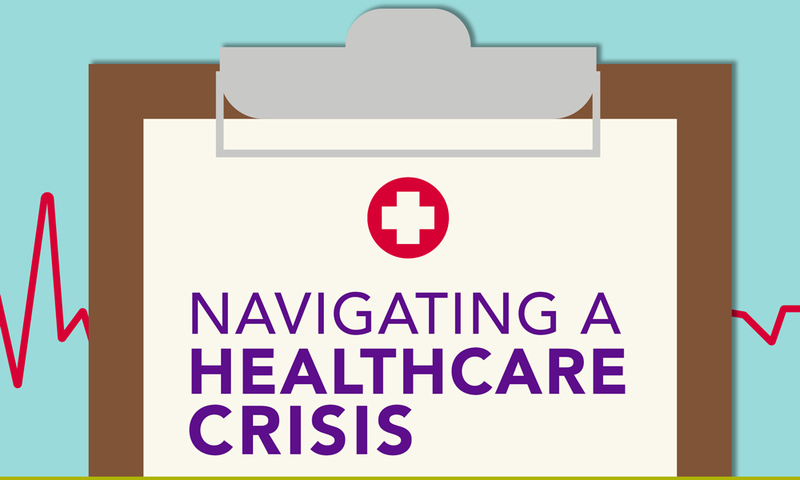 With health care, a crisis could mean the potential threat to patient privacy. To ensure all laws are withheld and critical information is kept secure, communications teams often have to address reporters with an air of ambiguity. This doesn’t mean they don’t want to answer the reporters questions (obviously wanting to maintain an air of transparency) it just means there are laws bigger than them to protect those most important, the general public. Before walking into a client’s office for a crisis briefing, be sure to research as much of the company, situation and current climate of the situation. Again, research seems like a no brainer, but being in the midst of those who live and breath an industry will automatically make you feel lost. Try to brush up on jargon specific to the industry you’re working in, so you can easily keep up during those high-intensity briefings. When a group of presidents, CEOs, physicians, CMOs and communication team members gather to talk about a crisis, the climate is likely tense. It may be easy to fade into the background, but always find a way to contribute something to the conversation or situation. Whether that’s including a relatable anecdote (John Deveney’s greatest talent) when providing an update, or jumping behind a computer to take notes on the big screen, the crisis command center is a place for collaboration, so no idea is a bad idea. Who knows, your suggestion might be just what the team needs to hear.